Frank Bruno is a British former professional boxer. He is known for becoming the WBC World Heavyweight Champion in 1995 at the age of 33. Frank Bruno visited Pattaya for 4 days from 18 to 21 January 2018, where he stayed at the Hotel Baraquda Pattaya MGallery by Sofitel. During his visit in Pattaya, Frank Bruno went to several Retox sport bars and restaurants, where he had a meet and greet session with his fans and introduced his new book to the public. He visited and sponsored 2 charity organizations as well (Hand to Hand & Father Ray Foundation), and had a session with kids in boxing and Muay Thai, where he gave them some tips on self-defence. The official press conference of his visit was held at Hotel Baraquda Pattaya. With the media and fans swarming the hotel, Frank Bruno was coming from his trip to Bangkok and headed straight into the press conference instead of going to his room. He received a warm welcome from our General Manager, Mr. Jagan Lacsher who escorted him personally to the press conference. There were a host of media and radio channels on standby, just to get a quick interview with him. Frank Bruno answered to questions from the fans, media and even of the hotel’s staff. He spoke about his personal life, his highs and lows, and why he decided to visited Pattaya once again. 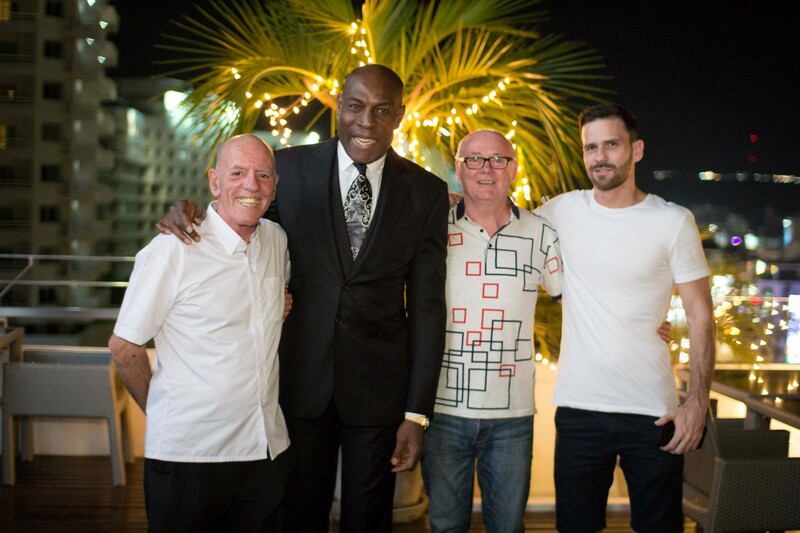 Later that evening, Frank Bruno was hosted at the Sunset Lounge Pattaya for a VIP Champagne reception where only the sponsors, top executives of Pattaya and hotel directors were involved. 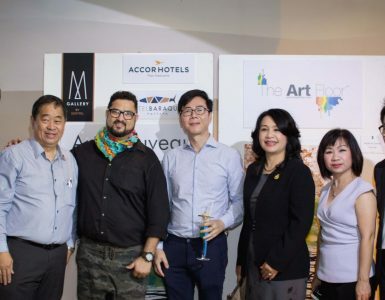 It was a personal soiree with the former champion, as we toasted to his success, his visit to Pattaya and to the spectacular view of the Pattaya city from the Sunset Lounge. While Frank Bruno visit to Pattaya was short, it was quite memorable. He was amazed at the personal cousu-main set up we did for him in his suite in Pattaya. We designed a healthy cake to look like the championship belt he won, while also honouring him with some of his best pictures printed and posted on the wall. Aside from that, Frank Bruno loved his Baraquda breakfast in Pattaya and came down every day in time just to have a taste of it. He complemented the Baraquda Pattaya staff with their unique and bespoke service throughout his stay in Pattaya and couldn’t thank us enough for taking care of him throughout.